Are you looking for a high-quality, engaging speaker for your annual conference or meeting or does your team need a quick writing refresher? 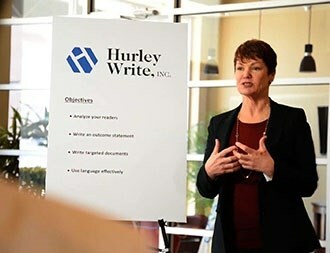 If so, we have the solution: our short writing courses are designed to provide a deeper dive into the writing topics that are most pressing for your team. In-depth coaching and writing sessions ensure that participants walk away with real strategies they can use immediately. And more! We can develop short writing courses based on any topic! Need help deciding? We can help! Contact us today.